Samela Tyelbooi (sometimes credited as Samantha Tyelbooi) is a South African actress best known for her starring role as Lois Gumede on the SABC1 drama series Society, from 2007-2010. It was her first major acting role, which she landed after her first screen appearance in a cameo role on Generations. 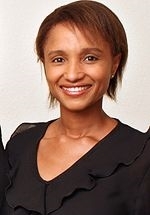 In 2011 she played the supporting role of Ntosh on the SABC1 drama series Intsika. She later landed the role of Shado Shilongo, a struggling singer/songwriter who finds her fortunes changing when Miles Vilakazi tries to sign her to Redemption Records, on the e.tv soapie Rhythm City, in 2012. She also had a guest starring role in the tenth episode of the SABC1 science fiction series Room 9, in 2013. Towards the end of 2018, she joined the SABC1 soapie Generations: The Legacy, as Tau's former flame and publishing entrepreneur Ayanda.